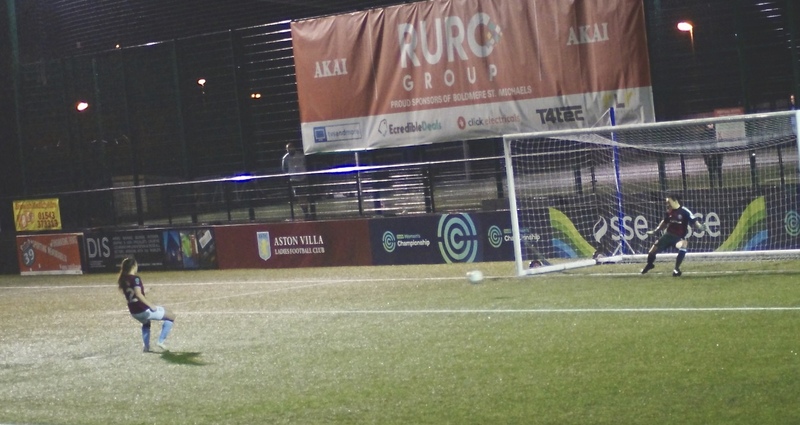 Aston Villa finally returned home to play at Boldmere after a spell playing away from home. The last meeting came in the league when Villa won 5-1 at Boldmere. Jodie Hutton shined and scored a hattrick to show the improvement that our team had made on that day. The game started in sunshine but ended with a downpour, a little taste of every season in one day. Sheffield United came straight out the blocks Ebony Salmon reminded us what a threat she was and why she was our top scorer last season. She broke through the Villa defence but Sian Rogers did well to stop the opening attack. Sheffield United went through onto goal again but fired the effort over the bar. Sian Rogers came to collect a corner and got clattered, thankfully Sian was ok, as always she puts herself on the line for the team and is made of tough stuff. 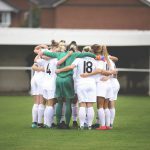 Which was proved again a few minutes later as Sheffield United broke through once again with Ebony Salmon’s pace as her cross was collected by Sian Rogers at the feet of Alethea Paul. 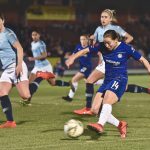 Phoebe Warner in what looked like just a normal tackle went down but it was plain to see that after a short while it was more serious than it looked as she stayed down. 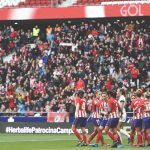 The first half finished 1-0 to the away side. Ten minutes into the second half the pressure from Ebony Salmon told as she took advantage of a misplaced back pass and took the ball past Sian Rogers to slot the ball into the back of the net giving Sheffield United a 0-2 lead after 59 minutes. 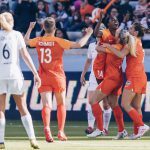 Villa looked to change things by bringing on Sophie Haywood and Tanisha Smith for Kerri Welsh and Ali Hall. In the 73rd minute Jodie Hutton was put through and slotted the ball home to give Villa hope that a comeback was on. Ashlee Brown had been moved up the pitch and was dominating the Sheffield United defence. 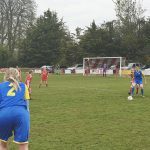 As she surged forward and played an incredible ball across but it was just behind Sophie Haywood as she tried to put the ball in the net as she lifted it over the bar. Just as Villa got back into the game and was looking good for an equalizer Bex Rayner finished well and put Sheffield United 3-1 up. 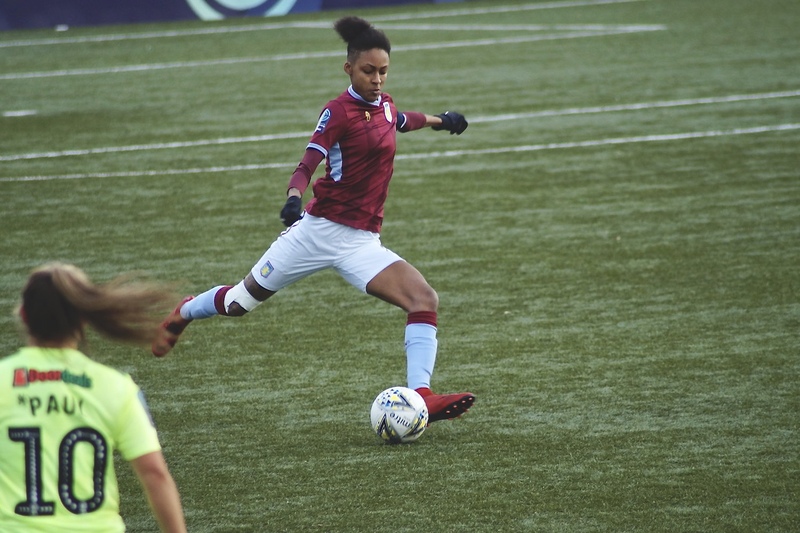 Tanisha Smith was causing Sheffield United all kinds of problems and in the 86th minute as she used her pace and power to get past the Sheffield United defence being brought down for a penalty. 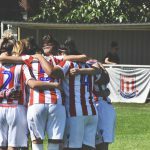 Jodie Hutton stepped up to take in such a huge moment in the game the 18-year-old slotted the ball straight down the middle giving us a glimmer of hope in the game as the lead was halved and put us within a goal of pushing back level. After Sheffield United tried everything to waste time including two substitutions and their goalkeeper having a lie down to count the clock down would that keep Villa from showing the heart of a lion. To quote Tupac “The greatest loss is what dies inside you while still alive. Never Surrender” and that is exactly what Villa did as they pushed and pushed and blew the house down with literally the last kick of the game. 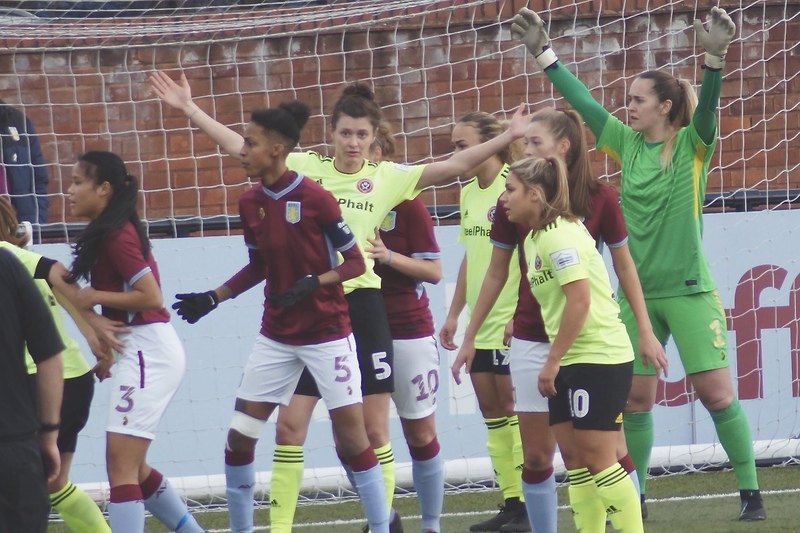 Villa pushed everyone forward and a cross was put into the box which fell to Jodie Hutton who completed her second hattrick against Sheffield United causing a great comeback for the Villa Ladies and pandemonium in the stands. The final whistle went and as the game went into extra time Villa looked like the team that would go on and win the game. 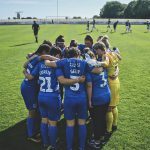 Extra time kicked off with Villa on the attack and as the ball was laid back to Amy West she just couldn’t control the shot as it went over the bar but it showed the intent needed to push on in extra time. 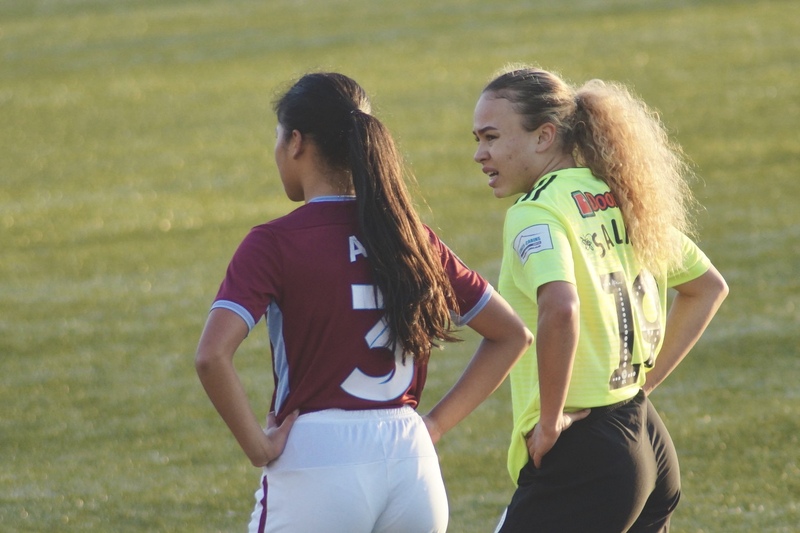 In the first 15 minutes of extra time Villa pinned Sheffield United back in their half and nearly scored as somehow the Sheffield United keeper pulled off a great save to deny Sophie Haywood’s header that looked goal bound. Just before extra time went to half time Sheffield United had a chance but wasted it into the side netting. The second half was very quiet in extra time with not a lot happening until a misplaced cross struck the bar for Sheffield United from Alethea Paul. For me, the best part of the extra time was when Aoife Hurley returned to the pitch after being out injured. 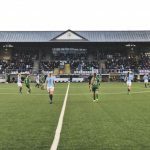 The final whistle went and with both sides tied at 3-3 the game moved onto penalty’s to decide which side progresses into the quarter finals. 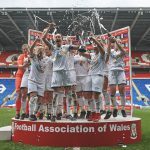 Up next was the penalty shoot-out as truly anything can happen but with a goalkeeper like Sian Rogers, you always have an advantage in these kinds of situations. Alice Hassall was the first to step up to the spot and scored. Following her for Sheffield United was Alethea Paul but her penalty was saved by Rogers. The rest of the penalties were scored and then it all rested on Jodie Hutton, she stepped up to take the winning penalty and made it 5-3. Pandemonium ensued as Villa went through to the Quarter Final.